One Christmas there were eight or nine Christmas trees up. A teacher called and wanted bring her special needs children for a tour. I said, “Plan on an entire afternoon. I’m going to have something special.” Read on and discover what happened next! 1. 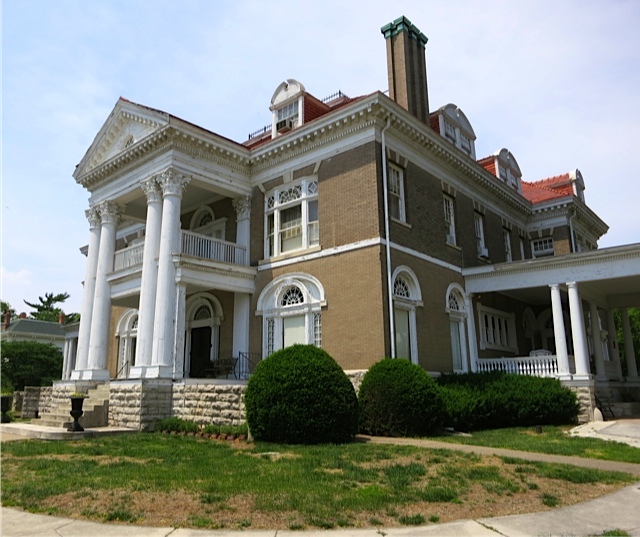 What led you to the mission of being a head tour guide at Rockcliffe Mansion in Hannibal, Missouri? We moved in from Bloomington, Illinois. We were retired. We thought about opening a bed and breakfast. We gave ourselves enough time. We wanted to see how the traffic went through Hannibal. About a year and a half after we lived here, we saw in the paper that they were looking for a retired couple to come in and manage the house. We applied and moved in a week later. It means you have the chance of showing this home off to everyone who loves antiques and old homes. You try to make it as visible as you can. You want them to feel the house, so when they leave, they feel like they have been here during that period. You want them to feel like family. We just love it! We love showing them the family, the house, the history of the house, and everything that has been done in the house. I love meeting people and so when they come in to see Rockcliffe, there is somebody to know. 3. 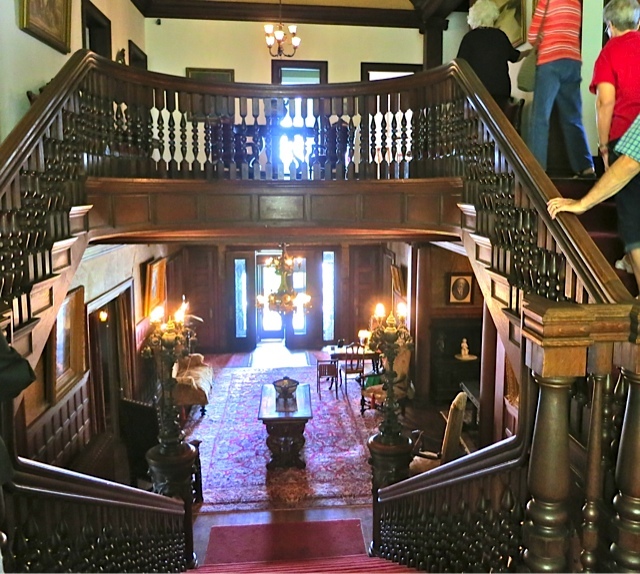 What was your best day as a head tour guide at Rockcliffe Mansion in Hannibal, Missouri? One Christmas we had eight or nine Christmas trees up. I had a call from the school right down the street on Bird. They wanted to know what would be the cost for the children to come through the mansion. I said, “Well it is a class. It is usually three dollars per student. Let me check.” She said, “Well this is a special ed class. I would like for the children to see the Christmas trees.” After she hung up, I thought, “Now wait a minute. We had a daughter in special ed. I called her back and said, “Plan on an entire afternoon. Have them come. I’m going to have something special.” And so, I did. The kids came and they were just so excited. I had the Grinch Who Stole Christmas book and I had all the children sit on the staircase. The book was read to them. Joyce from next door came over. I had an old red flannel nightgown. I bought the white cotton and put it around the neck. I trimmed the gown all in the white cotton. Joyce was the Grinch! She had a Santa hat on. She was sitting there sewing a costume. All the kids were listening and looking at her. She was just frowning all the time. Pretty soon she got up and walked out. She came back and went over to the Christmas tree and she started taking the packages out from under the tree. The children were saying, “Miss, miss!” She didn’t pay any attention to them. I didn’t either. She started putting all their Christmas packages into her bag. I had gone out and bought each child art supplies, so they each had boxes to take home with them. They were all wrapped. Now Joyce is not paying attention to them and she is putting all their packages into a great bit black plastic yard sack and she leaves. They are so upset. After the reading is all over, she comes back in front of the staircase, takes her hat off, and candy goes everywhere. I had their tour through the house and when they came back, in the music room, we had the table from the kitchen in there. I had it set up and we had cake and cookies and candy. We had everything. Everybody had one of those little gift sacks and they would load up and take home what they wanted. The teacher said, “These children have never had a Christmas.” Some had never seen a Christmas tree. Those little kids, their hands were shaking when they were opening up their presents. That was my favorite day here. It was because those kids were so happy. Then I got a letter from each one of them. They drew pictures and were thanking me for a wonderful day. The next year, they had already moved to a new school. They weren’t allowing them to use the school buses, so that was the only time I got to have them. They were so excited. Then one time we had a tea for Joyce’s grandchildren. I dressed up and sent out invitations for them to join the Queen Of Not A Lot for tea in the Royal Palace. They had to come. They had to behave correctly. They had to be dressed correctly. I would be serving cheese, peas, and chocolate cake. They were so excited when they came. Joyce was standing with them all around her. I had dressed in the gown that was nothing but sparkle and beads, and I carried a cane. I had this big hat. My hair was all pulled out. There was nothing but flowers on the hat. I had a fur piece on and came down the stairway and was banging the cane. I said, “Who are these people? I asked for big people. I don’t like little people.” There were standing there looking so surprised. Each one had a little gift for me. It was a tea set. I had it all set up in the Moorish room. They had their little pots and teacups and had all had lemonade instead of tea. They would sit there with their finger sticking out while they were drinking their tea. They had a ball. I had seven of my own children and I just loved doing these things. Those two were my very, very favorite. Down in the basement, the room is divided like every room we have up here. There were two small rooms that had been cleaned out. I had the Hansel and Gretel opera on my stereo. I was sitting in the room and was dressed in a red cape. I had my witch’s nose on and my slippers were under this little stove that we had down there. They came in and I had it set up like a stage. I had the lights in front and the chairs set up. I read the story of Hansel and Gretel while the music played. They were having such a good time. I wanted to start a children’s theater here. They could read a story and act it out. But by that time they had sold the house and I didn’t have access to it anymore. It was so much fun doing this for the kids. So many things went on here and we loved it. 4. What was your worst day as a head tour guide at Rockcliffe Mansion in Hannibal, Missouri? The worst day was when my husband came down with colon cancer while we were here. But we got through it. I mean you don’t think of it in that way. You just say, “Well, we have something else to do.” We still worked through it. He still gave tours while he was carrying around his treatment thing twenty-four hours a day. Another worst day was when we were having our first mystery night to make money for the shelters where the women and children go when they are battered. They always had a Victorian tea here to make money for the shelter. This year, no one would give them anything to sell chances on. Usually there was a television set that would be donated, but this year, no one would give anything. We were sitting out in the dining room and I said, “Well why don’t we have a mystery night and sell chances for two couples to stay for the night. One couple to win the night and the other couple as their guests — so they wouldn’t be alone.” “Well that would be perfect,” they said. “We’ll do this, and you write the mystery.” Well, that was no problem. I got that written. But the day that we were supposed to have this, my brother died of cancer. They asked, “Shall we cancel it?” I said, “No! I’m going to put all this on a shelf somewhere and I’ll think about it tomorrow.” We got through it that night. It was hard. Probably the hardest night I had, but we made it through that. We had seventy-nine people. Everyone brought a covered dish. We had tables set up. We just set off doing what we had to do. And so I just put it all behind me until we got through. There was no way of cancelling it. We couldn’t. That was probably the hardest day I had here. You just do. My husband died three years ago in a car accident and I had just broken my arm and shoulder the week before. I had been helping him with his health and the day I broke my arm they did surgery. It was New Year’s Eve. My shoulder was pinned with big pins. I came home from the surgery and I went in the den to rest. My husband told me, “I hate to tell you this, but I need help.” He said, “What are we going to do?” I said, “Your left hand is better than your right hand. I have a right hand, so we are going to learn how to do it together.” And that is what we did. You have to, so you do it. 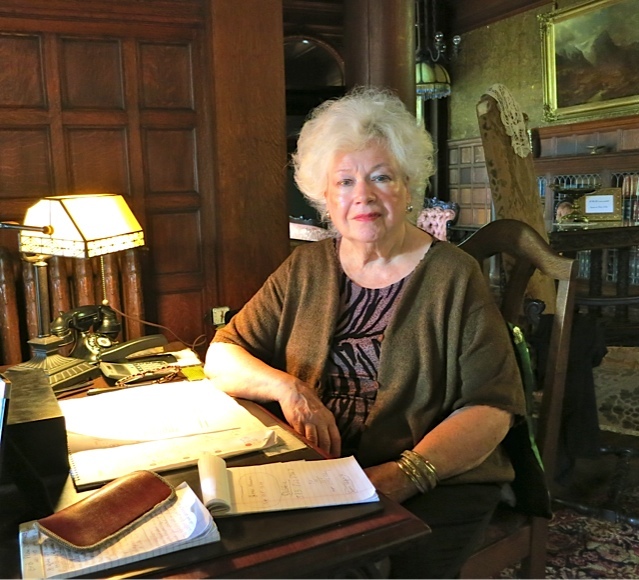 I was raised by two – a very Irish mother and a very Irish grandmother. As I was telling someone the other day, “The Irish raise their children on guilt.” So I thought I had started the Second World War and I didn’t know how, but I guess I did. (Mary laughs.) So you just take this all on your shoulders and you live with it. When my father died, I was eleven. The teacher made me go home. I went into the house and I walked in and I said, “Where’s daddy? He passed me on the viaduct and didn’t stop to pick me up.” My brother was sitting there and said, “It couldn’t have been daddy. He died last night.” I said, “Yes it was. Don’t be such a you know… you are always doing that to me.” I went up to my grandmother who was scrubbing the bathroom floor on her hands and knees. She was Wawa to us. I said, “Wawa, Daddy isn’t…” She looked at me and said, “I don’t know how this happened… and it’s your fault.” So you learn to shoulder a lot. You just don’t complain about things. You just go ahead and have to do it. When you raise seven children, this is what you do. It’s really nothing. It’s just what everyone has to do some time or another in their lives. Plan for the future, but take it day by day. You can’t live in the future. You just take each day, deal with it, and see what tomorrow brings.